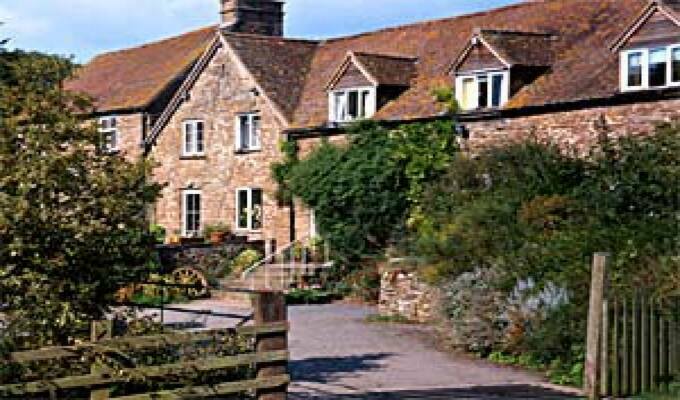 Enjoy traditional hospitality and experience authentic country life at our working family farm, Woonton Court, Leysters, Leominster We offer both bed and breakfast in our Tudor farmhouse and the freedom of self-catering in a comfortable converted historic building, The Mill House Flat, which sleeps 3/4. We welcome you to walk the farm (strong footwear advised!) Observe the animals; enjoy free-range eggs and local produce; and appreciate the peace and tranquillity of the local scenery.Woonton Court is an ideal base for exploring the Welsh Marches, Ludlow, Historic Hereford and for visiting National Trust properties. Many local gardens and woodlands to visit. Peaceful walks, exceptional wildflowers and abundant wildlife - including a variety of birds.